The choice of flooring impacts the look of an office to a very large extent. Different kinds of offices and working environments need different kinds of flooring. Just like different rooms in home, need different flooring, we we have covered in the flooring styles for home. Choosing the right kind of flooring, thus, becomes really important in making your office look right. It is a very popular choice, to for carpet flooring. It’s not very hard to maintain and gives a regal look to the place. These kind of flooring best suits conference rooms etc in the office. Though it is a good option, if anything is spilled on the carpet, the replacement becomes a costly affair. A better option is to go for carpet tiles, so that in case of any spillage, certain area could be replaced. Carpet flooring is good for aesthetic purposes and it also is great for places where noise reduction plays an important role. It introduces a certain warmth and charm in the room. Vinyl or Laminate is a cost-effective, long-lasting option for commercial flooring.For a cost-effective and durable option, vinyl or laminate is the best option. The best of these kinds of flooring is that they very low-maintenance. This kind of flooring is also resilient and resistant towards damage. Many variety of colors and designs are available which can make your office quite stylish but this kind of flooring is not as aesthetically pleasing as other. It is best suited for heavy traffic areas. Wood flooring is a classic but it is also one of the most high maintenance option you have. The style and look that a wood flooring renders to a space is unparalleled. It should be cleaned and maintained regularly, but it is a timeless style. It is best suited for office places which are most frequented by clients. Glass tiles are a very stylish choice available for people to opt for. Generally, a higher floor is given a glass flooring, the center space is the most ideal for it. Glass tiles are also water resistant and they do not wear out. We also have the option of ceramic tiles, which are also an excellent choice. They are very easy to maintain and clean. 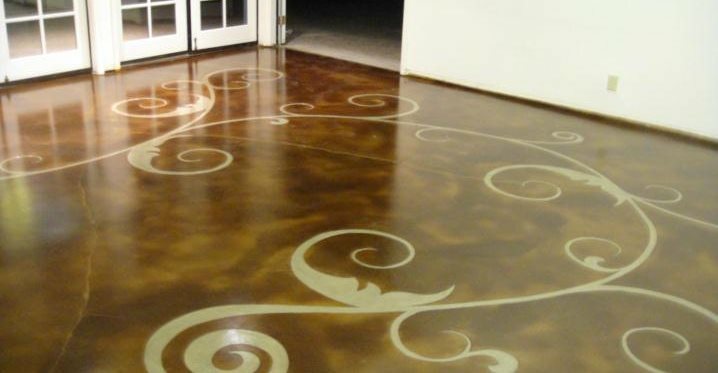 Stained concrete or polished concrete is fast becoming a favorite of the industry, with many offices opting for it because of its durability, resilience and aesthetic appeal. One should be careful with this kind of flooring because there’s the problem of it being too hard to stand on for a very long time. These were our tips for choosing the right flooring for your office. Do share any tips or suggestions that you have in the comments below.